The Pacer Stratos is a new quad artistic skate with a very traditional look and feel to it. This should be a good substitute for the discontinued D278 Esprit that was so popular. Wheels – Indoor urethane design. 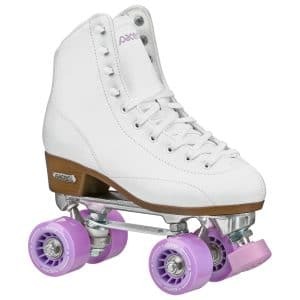 The black skates have white wheels, the white skates have purple wheels. 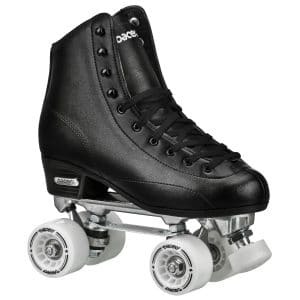 The black skates come in sizes 3-12, the white ones in sizes 3-10. These are in stock now and ready to ship.